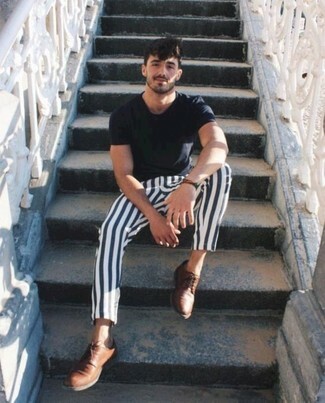 Go for a charcoal vertical striped double breasted blazer and charcoal vertical striped dress pants for incredibly stylish attire. Trask landry plain toe derby will deliver a more relaxed feel to your outfit. This pairing of a grey blazer and white chinos is so easy to throw together without a second thought, helping you look amazing and ready for anything without spending a ton of time rummaging through your closet. Kick up the cool of your ensemble by finishing off with Trask landry plain toe derby. For a nothing less than incredibly stylish getup, wear a grey vertical striped waistcoat with grey vertical striped dress pants. To bring out the fun side of you, complete your getup with Trask landry plain toe derby. 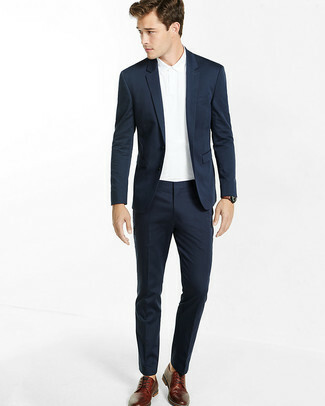 For a nothing less than incredibly stylish getup, go for a navy suit and a white polo. When it comes to footwear, this look pairs wonderfully with Trask landry plain toe derby. If you're on a mission for a casual yet dapper outfit, opt for a black crew-neck t-shirt and white and navy vertical striped chinos. Both pieces are totally comfortable and will look great paired together. 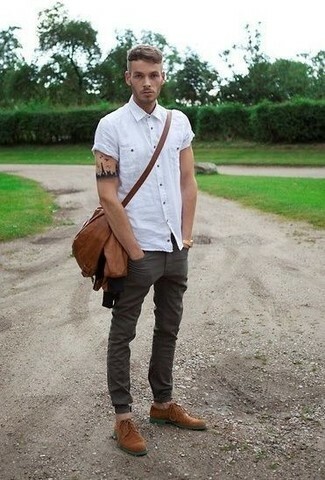 Channel your inner Ryan Gosling and rock a pair of Trask landry plain toe derby to class up your outfit. 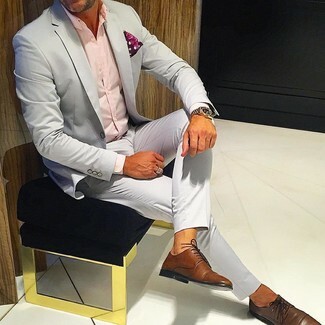 Make a grey suit and a pink dress shirt your outfit choice like a true gent. 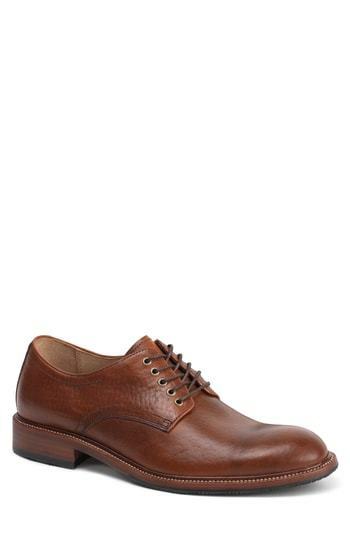 Make your look more fun by rounding off with brown leather derby shoes. 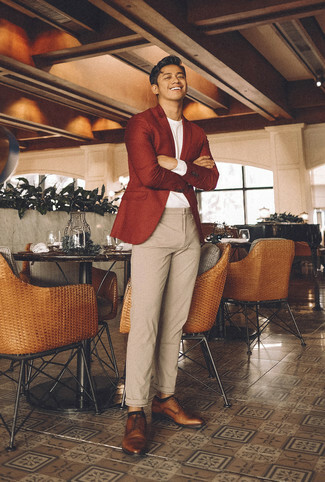 This pairing of a red wool blazer and beige wool chinos is so easy to put together without a second thought, helping you look sharp and ready for anything without spending a ton of time going through your closet. Sporting a pair of Trask landry plain toe derby is a simple way to add some flair to your getup. If you're hunting for a casual yet on-trend ensemble, pair a brown leather bomber jacket with charcoal jeans. Both garments are totally comfortable and will look great paired together. Up the cool of your ensemble by finishing off with Trask landry plain toe derby. 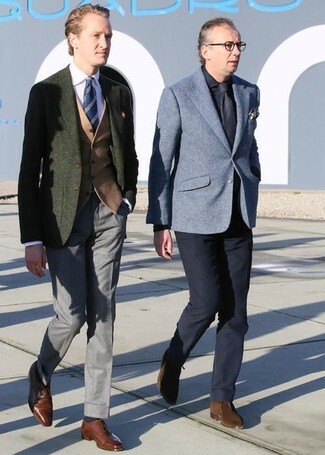 An olive wool blazer and grey dress pants are great essentials to incorporate into your current wardrobe. Add a more relaxed vibe to your ensemble with Trask landry plain toe derby.